My husband made this ornament when he was a kid, bringing it home to a mother who wiped away tears of pride as she hung it on the Christmas tree. Now it looks … Well … Sad. 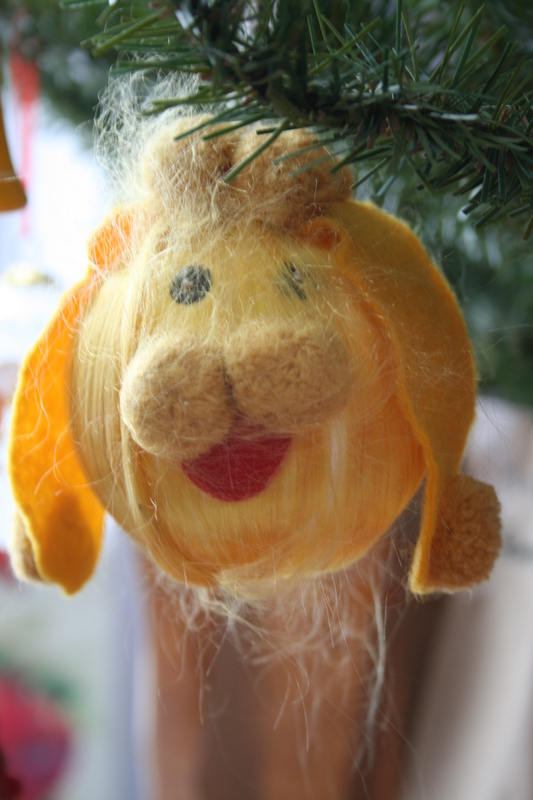 I'll hold onto handmade ornaments my kids made, too. And I'm sure their kids will enjoy making fun of looking at them as much as my daughter and I had looking at ornaments her father made so many years ago. So very, very many years ago. Previous Post What happens when I have a lot of spare time on my hands. Next Post More of the same.